Do you need to hire a Freelance PHP Programmer or Freelance PHP Mysql Developer or need a Freelance Web Developer from india or a Freelaance Web Designer from india for your freelance web development needs? Please read on. 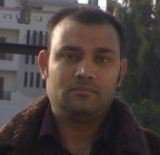 Sukhwinder is a freelance PHP programmer/ freelance PHP developer from India with over fifteen years of professional PHP programming/development experience. Has done many php websites and intranet applications using PHP and other web programming languages for clients from US, Canada, UK and other Europian countries. References will be provided, if asked for. You can view testimonials here. Here is his linked.in profile. Has experience in using Laravel framework, smarty template engine and pear packages like PHP Pear DB, Pear HTML Quickform, PHP Pear XML and other pear packages. Contact for any kind of freelance PHP or other web development work. Below is the list of some of the PHP / MySql projects he has done. List of projects including the ones done in other programming languages is here. USendU.com allowed you to upload your videos, images and mp3s and create and send a greeting card using those. Flash, PHP and mysql were used to develop this. There is also an option to add youtube video to greeting card. Small fee is required to send the greetings. BeanAndBody.com was a an online store. It is has full flash based front end. PHP is used to handle flash requests and online purchases etc. Hallstar.com. A big database including different types of chemical and other products. PHP and mysql were used to develop this. Marilyn Manson Artwork Online (http://marilynmansonartworkonline.com) was an official online store for all Marilyn Manson Artwork. Payments are accepted through PayPal PHP and Mysql were used for development. Canlaw.org. A database of lawyers. Registration is not free. Users pay to search the database for a limited period. Access depends upon how many days access user has purchased. Technology used: php and mysql. A movie database for intranet use. Again PHP and Mysql were used for developing this website. There are many kind of users with different roles. Took around 40-45 days to develop. It was a big project. PHP-Apache-MySql were used for this project and it took around 70 days to complete. About 270 PHP files were written for this project. Another intranet application for a driving school in UK. First challenge was to extract data from a Zope application and then write the application using PHP-MySql. First had to learn about Zope and then zodb and then python. After extracting data it was exported to MySql database and application was re-written in PHP. Took around 90 days to complete. 2 Matrimonial sites. Again PHP and MySql were used for developing these web sites. Another intranet application similar to address book of outlook express. Same options were there for adding new identities and for keeping contacts of each identity separate. PHP and mysql were used. An alumni site for a local school. First it was written in PHP and database was mysql and later in ASP and Sql Server were used. Online result for a local school. Mysql and PHP were used. Database was designed by some other company for a desktop Application. Many others small and large ones done in last year or so. Work Details : Main job here was to create web applications using php-mysql-apache and asp/asp.net. And to develop software using Java. Work Details : Worked as a web developer at King Infotech Software Solutions - Ludhiana, India.